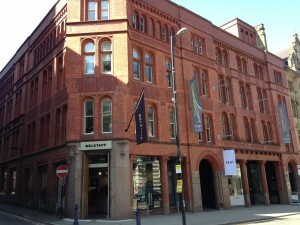 King Street’s origins in Manchester go back to the eighteenth century. 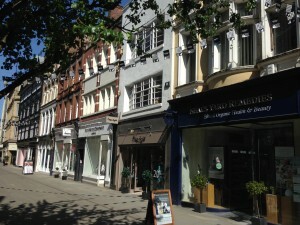 events of 1745 put pay to that and the whole of the street was thus named King St in reverence to the current monarch. Its evolution charts that of Manchester, originally containing the mansions of the town’s great and good, the centre of an emerging banking and finance industry, the site of the first town hall and police station, the headquarters of the Ship Canal Company while its lower half built a reputation as the place to go for high class shopping, once termed the Bond Street of Manchester and now reinventing itself as part of cafe culture. The Misses Hall, Bessie and Fanny, were attendees of St Ann’s church, reached then from King St by means of a pathway through a graveyard, were remembered for their sober silk grey dresses,black scarves, neatly crimped collars and green umbrellas, made of silk and curiously suspended by a ring from their third finger. 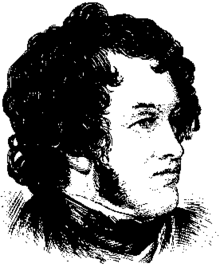 Author Harrison Ainsworth was born in the street in 1805, his father a solicitor and his mother the daughter a minister of Cross Street Chapel. The house across the road was Samuel Greg, whose son Robert Greg later MP for Manchester, was born in 1795., while another neighbour Dr Thomas Perceival’s house saw the founding meetings of Manchester’s Literary and Philosophical Society. On the corner of Cross Street and King Street, stood the magnificent house of Dr Charles White, founder member of the Manchester Infirmary, a fine old house with two wings and a cupola which would be the site of Manchester’s first Town Hall. 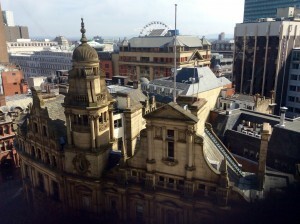 The land once occupied by Dr White’s house was acquired in 1820 and work began on Manchester’s first Town Hall two years later. Designed by the London Architect Francis Goodwin, the laying of the foundation stone, just three years after Peterloo was surrounded by controversy, a grand procession led by the Boroughreeve and his constables, whose naked sword blades raised the consternation of many of the onlookers. The building cost £40,000, its design based on the temple of Erectheus in Athens and its dome modelled on the octagonal tower of Andronicus. Over the entrance which was guarded by two figures in the form of Salom and Alfred the Great, were figures representing commerce and trade, while the facade above the columns consisted of medallions representing Pythagoras and Locke, and Lycurgus and Hale, meant to represent the combining of ancient and modern philosophy and law. The ground floor was used by the police, including part used for the residence of the deputy constable, while the council chambers were on the first floor. In 1830 a Mr Aglio added frescoes to the internal decoration of the hall. One in celebration of the defeat of Napoleon, others representing Manchester’s connection to Trade. Lord MacCartney meeting the Emperor of China, Sebastian Cabot landed on the coast of America and the King of Persia receiving a deputation from England. There was also a depiction of the expedition of Jason and the Argonauts, said to have taken place in 1263 BC. With Manchester incorporation in 1838, a staircase and entrance hall was added but even by this time with the town growing, the Town Hall was becoming unfit for purpose. The last meeting of the City Council before they moved into their new accommodation at Albert Square, was in January 1877, but in its brief history as a Town Hall, the King Street site had seen many momentous events, a visit from Queen Victoria, forty thousand people filing past the coffin of John Dalton and many meetings involving the anti Corn Law League. The site was used for Manchester Reference Library as a temporary measure due to the state of disrepair of the Library’s original location in Campfields but it was finally demolished in the early twentieth century, though its colonnade, after a campaign by the Manchester architect Edgar Wood remains to this day in Heaton Park. The Bank of England was founded in 1694, primarily to raise money for the war with France.In 1825 a severe banking crisis occurred when seventy-three of the country’s banks stopped payment. The crisis led to a new act in May 1826 “for the better regulation and co-partnership of certain bankers in England”, which permitted the establishment of co-partnerships with any number of shareholders and a right of note issue outside a radius of sixty-five miles from the City of London, within which the new banks were not allowed to open offices. 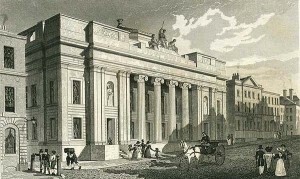 The Manchester branch of the Bank of England opened that year initially taking over the premises of Cuncliffe Brooks and Co. The building that it still there today at No. 82, although no longer a bank was designed by Charles Cockerell. Cockerell had succeeded John Soane as the Bank’s architect in 1833. He was asked to supply plans for new buildings for branches in Manchester, Liverpool and Bristol in 1844. 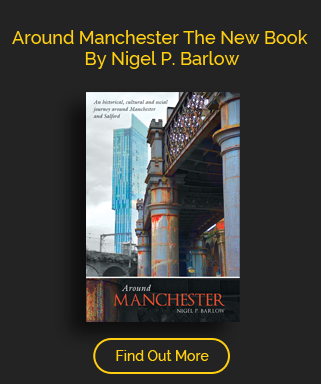 The Manchester design is the earliest and most expansive. Cockerill based it on theTemple of Apollo at Delos, a design which he had earlier employedat Oakley Park, Shropshire. The upper part of King Street soon became dominated by banking and finance and many of the buildings remain today though no longer as banks:. 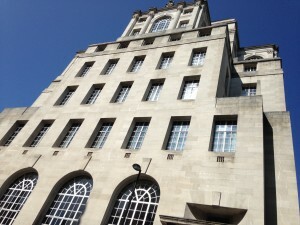 The Art Deco bank was designed by Sir Edward Lutyens in Manchester, who also designed the Cenotaph in St Peter’s Square. Built in the 1930’s, clad in Portland Stone, Lutyens collaborated with engineers, Whinney, Son & Austen Hall in its construction. It remained in use as a bank until 1998 when the now HSBC moved to St Ann’s Square.It was listed as a Grade II building by English Heritage in 1974.The banking hall on the ground floor would open in 2011 as Jamie Oliver’s Italian restaurant project. There were unconfirmed reports that a haul of £1m of jewellery, Joy Division master tapes a gun were allegedly discovered in the basement of the site as work began on the new restaurant, relics of safe deposit boxes from the buildings former use.The upper floors are now part of the sixty bedroom Hotel Gotham. On the corner of Cross Street stands the former Lloyds Bank building, the work of Charles Heathcote & Sons, the building was completed in 1915 in highly ornamented Portland stone with exterior carvings and decorations by Earp, Hobbs & Miller. 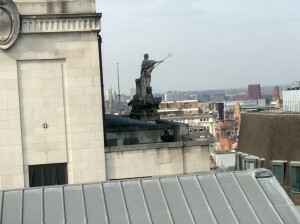 Looking down from the top of the street is the impressive former headquarters of the Lancashire and Yorkshire bank. Designed by Heathcote and Rawle and opened in 1890, the building is probably most noticeable for its baroque tower. It became Martins Bank’s Manchester District Office in 1928 with the amalgamation of the Bank of Liverpool and Martins with the Lancashire and Yorkshire Bank and a branch of Barclays in 1969 before closing in the early 1990’s. Now it is the home of the restaurant Rosso. 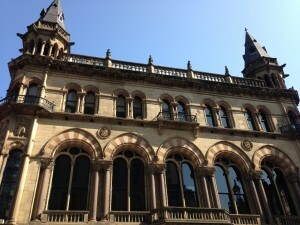 Further down King Street is the Prudential Assurance Building.Built between 1888-96 and designed by Alfred Waterhouse. Clad in blood red brick and terracotta. The building which was part of a series of commissions that the architect of Manchester Town Hall did towards the end of his career, was not universally admired and gained him the nickname of Slaughterhouse Waterhouse. 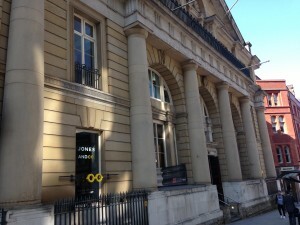 The building was refurbished in 2012 and is now 31,000 sq feet of Office accommodation. The building cost £60,000 and its opening raised many eyebrows in Victorian Manchester.Amongst its features were a balcony at the front designed for giving speeches to the crowds below. It was officially opened by Earl Granville whose name was added to the list of honourable members that already included John Stuart Mill and John Bright. Over the years the club would host the grandeurs of the Liberal party, William Gladstone, Lord Rosebury, Herbert Asquith, Lloyd George, Winston Churchil, then a perspective candidate for NW Manchester. The club continued into the 1980’s though declining membership saw it merge the Engineers’ Club in 1967 to form the Manchester Club, It was eventually wound up in 1988. Today the building houses offices and shops. That year the value of goods travelling its length was estimated at £300m, more than the Tyne, the Tees, the Humber, the Severn and the Clyde combined. 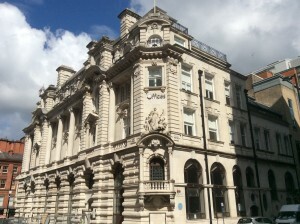 Designed by Harry Fairhurst, the suites of offices on the ground floor and the basement were to be the headquarters of Manchester’s Chamber of Commerce. Topped off by a statue of Neptune, the building was forced by an act of Parliament that controlled the height of buildings for its top floors had to be set back from street level.